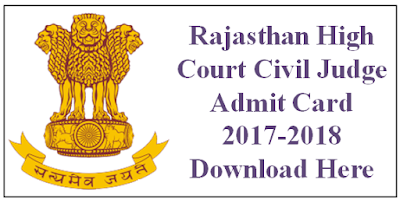 Rajasthan Civil Judge Admit Card 2018, Jodhpur has published for 35 Civil Judge (PCS J) vacancies in High Court of Rajasthan. Applicants who having Bachelor Degree in Law (LLB) can apply through the prescribed format before 17.03.2018. Applicants may send application form to High Court of Rajasthan office. 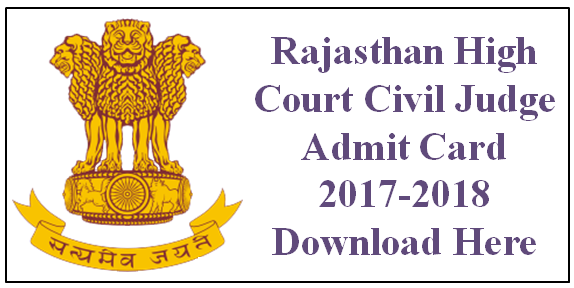 Applicants form is available on High Court of Rajasthan website. hcraj.nic.in. Education qualification: Bachelor Degree in Law (LLB). Age Limit: 23-35 years as on 01.01.2018. Pay the Examination Fee through Cast at E Mitra or Debit Card, Credit Card, Net Banking Fee Mode Only. How to apply: Eligible applicant require to send their applications in the prescribed format along with can apply through the prescribed format before 17.03.2018. Write on the envelope “application for the post of Civil Judge (PCS J)”.